Opt for a Thom Browne classic suit with tie in super 120s twill and a pink dress shirt for a classic and refined silhouette. Make your getup more fun by completing it with dark brown leather loafers. 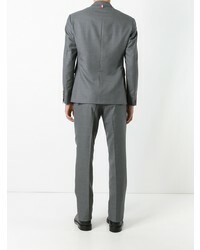 This pairing of a Thom Browne classic suit with tie in super 120s twill from farfetch.com and a black crew-neck t-shirt is very easy to make up in no time, helping you look awesome and ready for anything without spending too much time going through your closet. To break out of the mold a little, choose a pair of black leather slip-on sneakers. Try pairing a Thom Browne classic suit with tie in super 120s twill with a navy polo for a sharp, fashionable look. For something more on the daring side to complement this look, choose a pair of navy leather loafers. 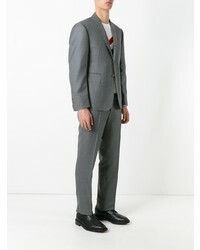 Consider pairing a grey suit with a white dress shirt for a sharp, fashionable look. Choose a pair of black leather brogues to make the ensemble current. 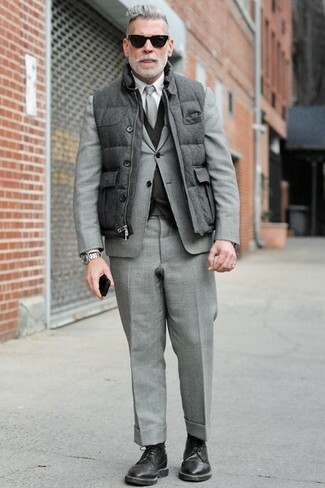 For a nothing less than incredibly stylish look, go for a grey suit and a grey quilted gilet. 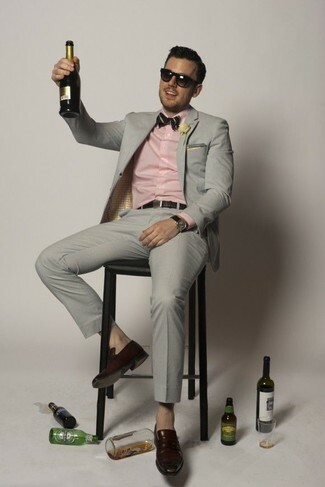 Consider black leather derby shoes as the glue that will bring your outfit together. 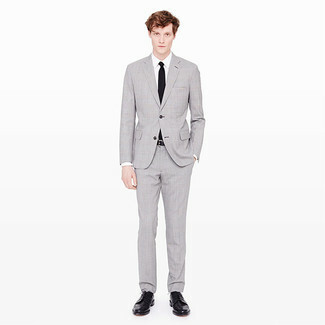 Pair a Thom Browne classic suit with tie in super 120s twill with a white dress shirt for a sharp classy look. 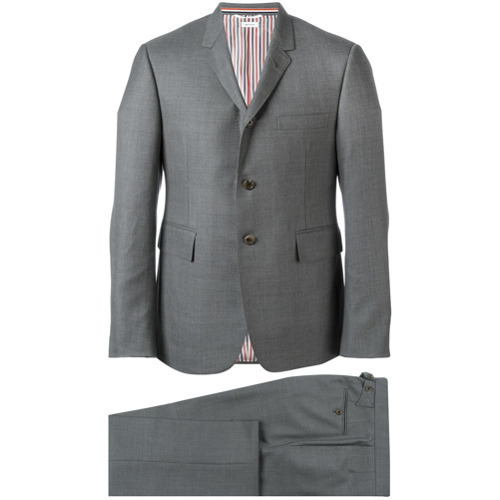 For a nothing less than incredibly stylish look, choose a grey suit and a charcoal puffer jacket. 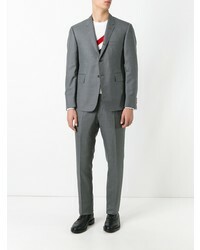 Go for a Thom Browne classic suit with tie in super 120s twill and a navy and green plaid overcoat like a true gent. Make your look more fun by rounding off with brown suede chelsea boots. 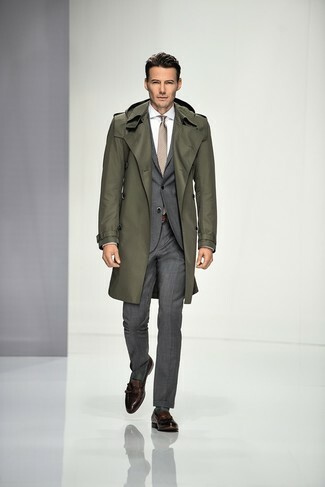 Pair a Thom Browne classic suit with tie in super 120s twill with an olive trenchcoat like a true gent. For something more on the daring side to complement this ensemble, go for a pair of dark brown leather tassel loafers.